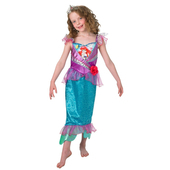 Our platinum Ariel to Cinderella reversible costume is from our Disney range. 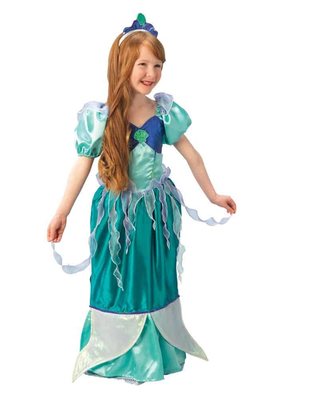 This fairytale costume includes a Cinderella ballgown that transforms into Ariel. 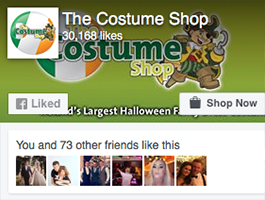 The Cinderella dress is blue with lace shimmer detailing throughout. 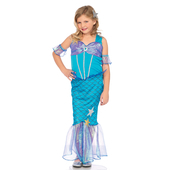 The reversible part of the Costume which represents Ariel, is in the style of a pretty mermaid with ribbon detailing, shimmer and sequins. 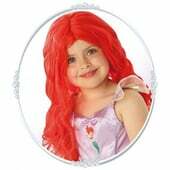 There is also a reversible hairband included to suit both Ariel and Cinderella.